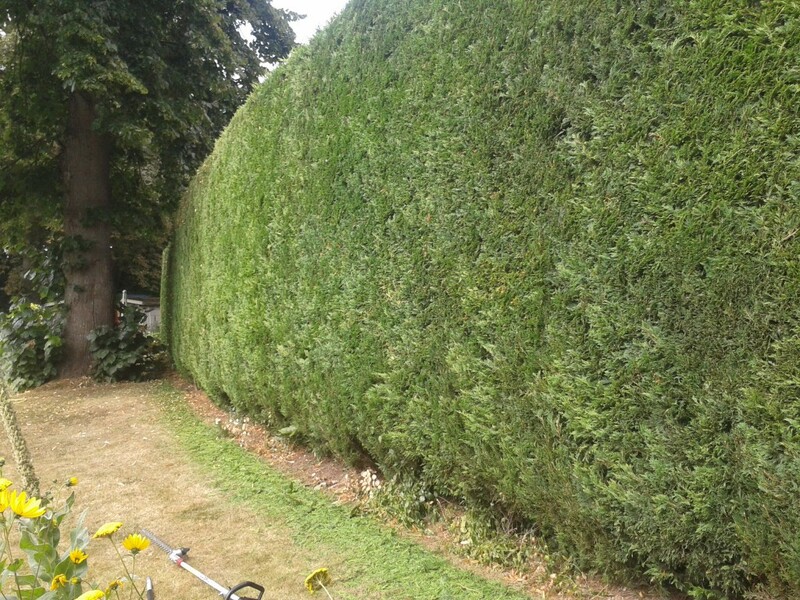 I recently had quotes to have my Leylandii hedge cut. It’s not overgrown, but it is tall, and long, and the warm weather has really got it growing. It was last cut in April. The prices for my 40 meter long, 3.5 metre high hedge were £80 and £95. For each side! It sounded a little steep so I tested it with a time and motion study. When I have cut the hedge myself in the past it has taken over 3 hours to cut each side. This was mainly because of the requirement to constantly climb on to an access platform and then down again to move it along. And the fact that I used a comparatively short cutting blade. 70cms would normally be considered long, but when faced with 140 square metres it’s small. 120 square metres of hedge took me a about 3 hours to cut and more time to clear up. Cutting the top involved a trapeze act with two ladders. So cutting from the ground instead is infinitely safer, as well as faster. But that is all in the past. Now From the ground up has long reach and extendible hedge cutters and high access equipment. These commercial cutters with 30mm teeth made light work of the hedge in an hour and a half total. On my current garden rates that would cost less than £50 per side. But Leylandii is not a measure of robustness, so I took on the neighbours Laurel as well. The machine did not flinch. Memories of struggling to place an access platform between shrubs came back, reminding me of hours wasted and scratches all over me. 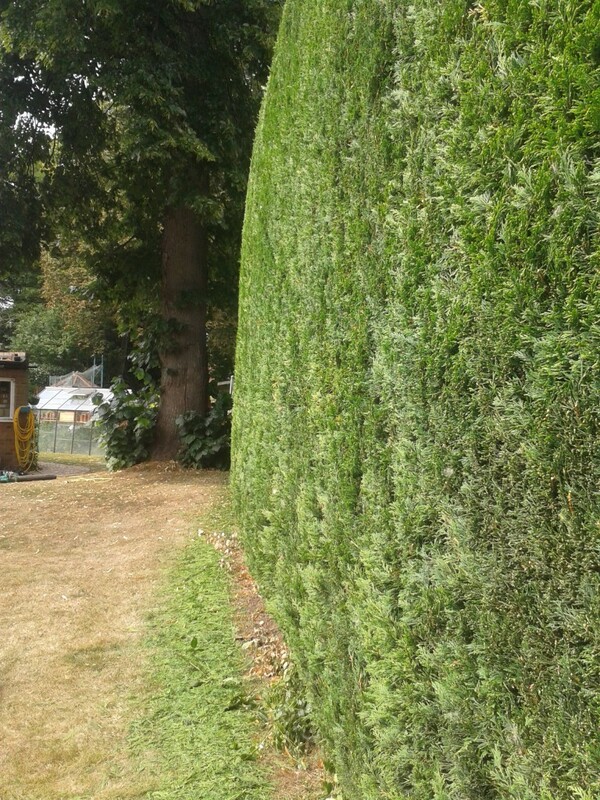 Conifer hedges should not be cut after the end of August. So if you’re fed up of cutting high hedges, and the hedge is up to 14 feet tall, we can cut it well and for a good price. A hedge that is overgrown and requires larger branches cutting out will inevitably take a little longer. Hedge trimmings can be taken away to the dump , or put in the green recycling bin. August and September is the time to cut hedges. Call us for a price to cut your hedges now. Or email us here.